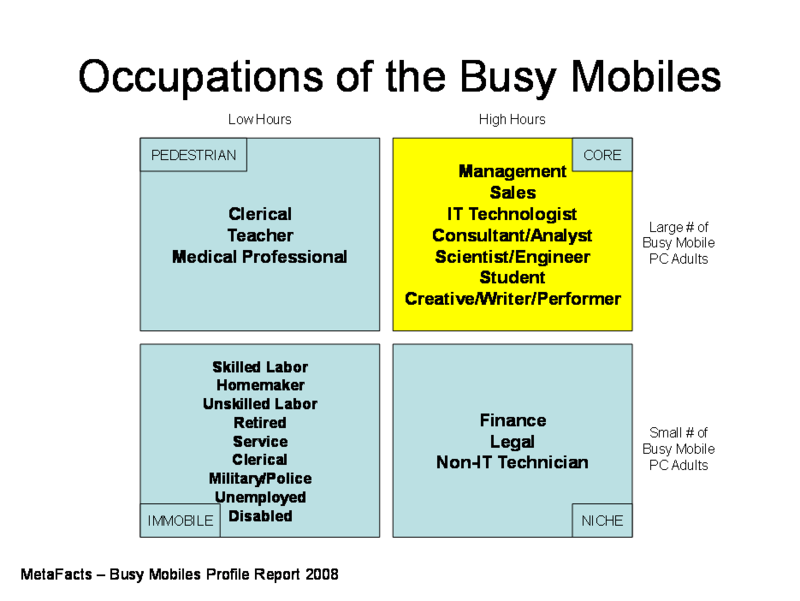 There is a wide difference in mobile PC activity by occupational group. 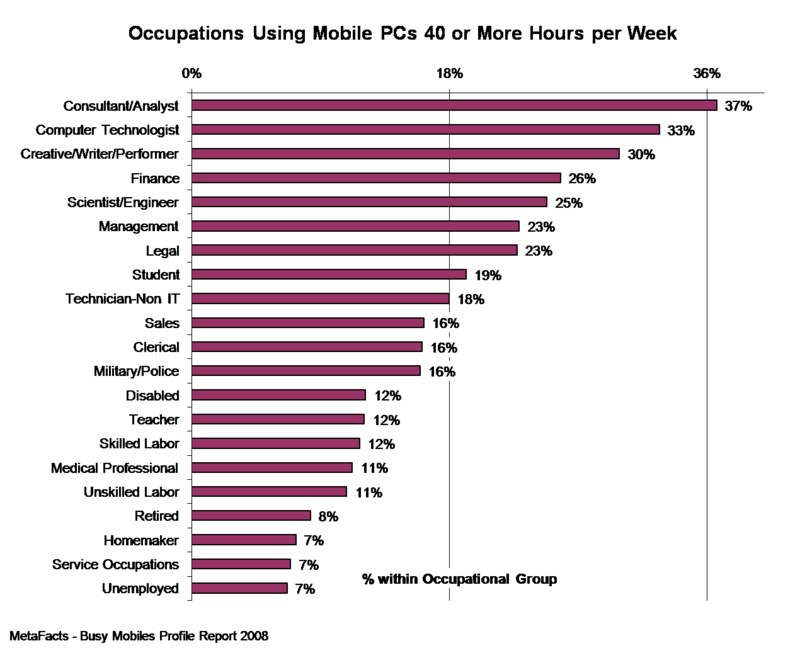 As few as 7% of some occupations use a mobile PC 40 or more hours per week. As many as 37% of other occupational groups use their PC this much. When looking at occupational groups by the percent that use mobile PCs the most, 8 groups are above average: Consultant/Analysts, Computer Technologists, Creative/Writer/Performer, Finance, Scientist/Engineer, Management, Legal, and Non-IT Technical. All of these groups have nearly one-fifth (18%) or more of their mobile users who use their mobiles 40 or more hours per week. MetaFacts releases ongoing research on the market shifts and profiles for Windows Vista, Mobile PCs, Workplace PCs, Home PCs, Broadband, Digital Imaging, and many other technology industry topics. These Profile Reports are in a series on specific topics utilizing the Technology User Profile Annual Edition study, which reveals the changing patterns of technology adoption and use in American households and businesses. Interested technology professionals can sign up at www.technologyuser.com/contact/ for complimentary TUPdates, periodic snapshots of technology markets.